Let me take a few minutes of your time to show you the latest addition to my skincare routine. I came across this brand about a month ago and got the chance to try out a few of their products. 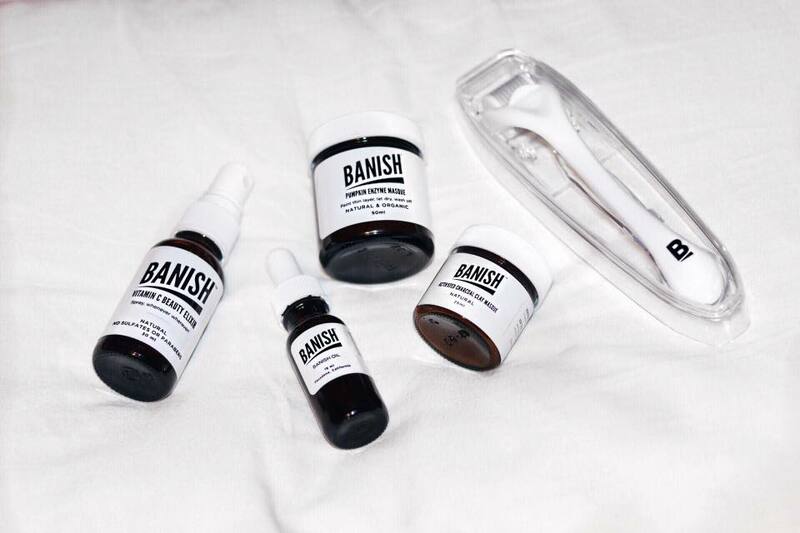 I've been using the Banish Starter Kit for about 3 weeks now and I must say, I really, really like it. One of the main things I like about this brand, is what they stand for. If you get the chance please read Daisy's Story (Founder of Banish) on the About Page of their website. Very touching and inspiring! I received the Banish Starter Kit which comes with 9 items. 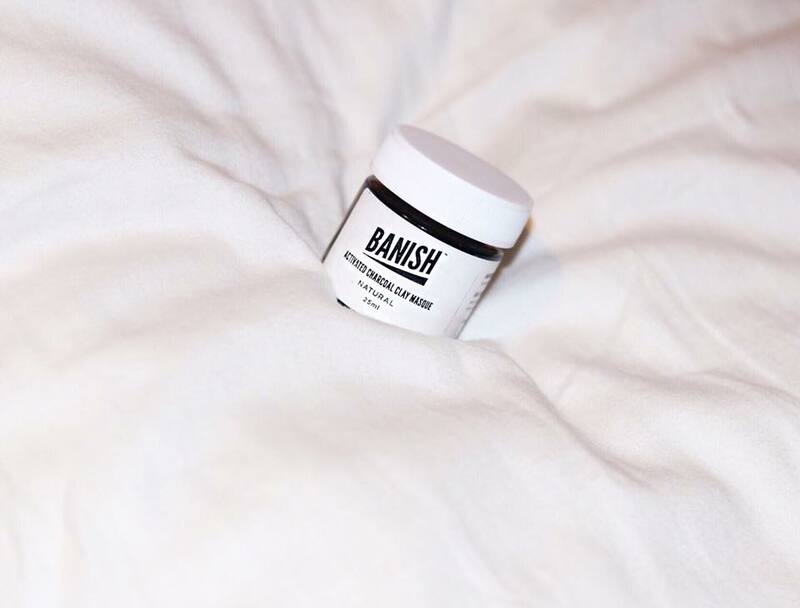 You get the Pumpkin Enzyme Masque, Activated Charcoal Clay Masque, Vitamin C Beauty Elixir, Banish Oil, Banisher Roller, Plastic cleaning container, Pore Smasher and everything comes in a beautiful black mesh Banish bag for easy storage. I think the only thing from the starter kit I didn't receive is the Pore Smasher, which is supposed to act as an ice facial to tighten the pores and help the skin feel and look rejuvenated. Note that all the items in the kit are also sold separately. 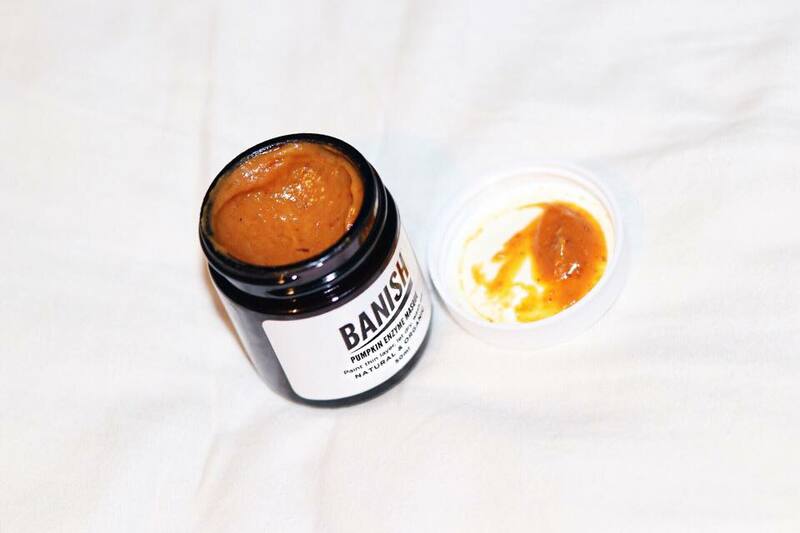 This is the Pumpkin Enzyme Masque which is packed with Vitamin A and C and Alpha Hydroxy Acids, to reduce the appearance of oily skin, improve skin elasticity, dry out acne, slough off dead skin, brighten and tone up the skin. 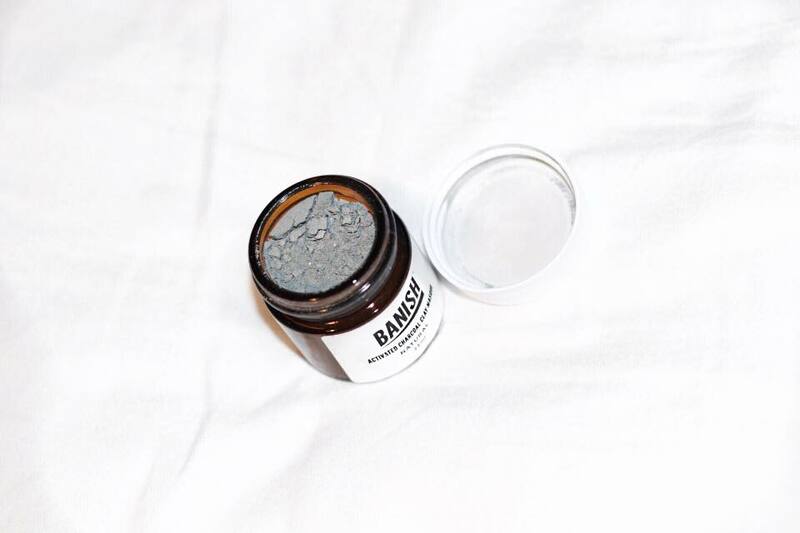 This can be used as a mask or a gentle exfoliator to cleanse and even out the skintone. I love the smell of this mask, it reminds me of everything Autumn; halloween and pumpkin pie. It has a very smooth consistency but can be a bit slimy when washing off so I'd recommend to use a face towel to wash of the product. 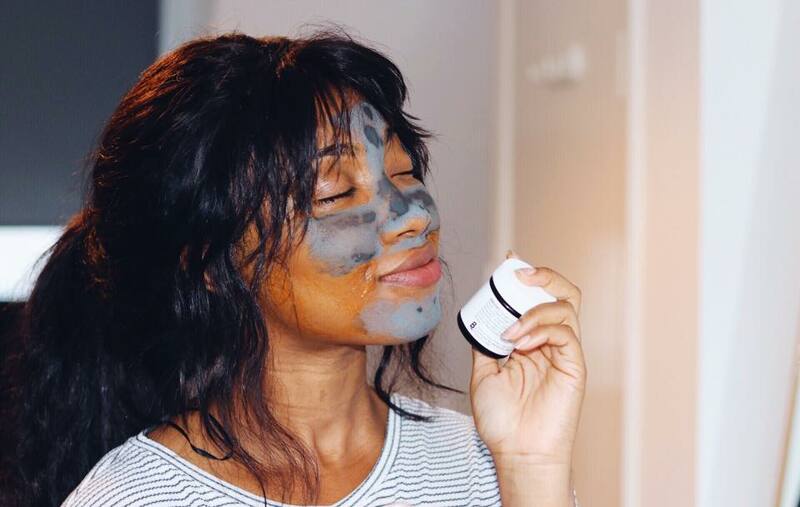 The Activated Charcoal Clay Masque comes in a different consistency to the Pumpkin Enzyme Masque. This comes in a powdery form. To apply, mix the product into a smooth paste with a little bit of water, then apply to the face as you would any other mask. Now there's two ways to apply the masks - they can be applied separately, all over the face on different days or you can do what I do and use both on the same day. How do I do this? Charcoal and/or clay masks are usually great for deep cleanse so I tend to apply this to my T-Zone and then apply the Pumpkin Enzyme masque to the rest of my face. Just like with most masks, leave on for about 10 - 15 minutes, rinse off and continue with your skincare regime as normal. 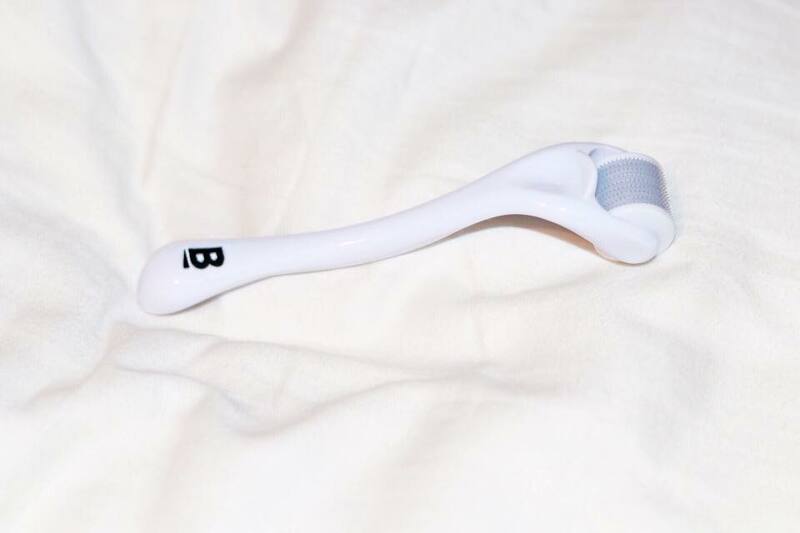 Right after the little TLC from the masque pampering session, I use the Banisher Roller to exfoliate my skin which opens up my pores to make it easier and better for my skin to absorb all the oils and moisture I slap on right after. I personally do not use the banisher roller on a daily basis. I use it at least 2-3 times a week and this is dependent on your skin. Some people might use it more often and some less. I don't have sensitive/problematic skin so 2-3 times a week works just fine for me. 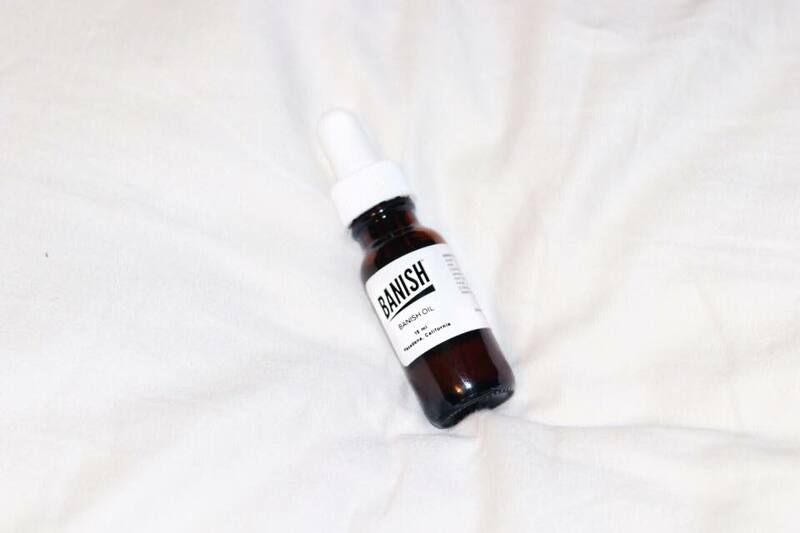 Lastly I massage a few drops of the the Banish Oil (which is a Vitamin C serum) into my skin and lock all the goodness in place with the Vitamin C Beauty Elixir. This has now become part of my night routine and so far I haven't had any negative side effects, breakouts or bad reactions to the product. 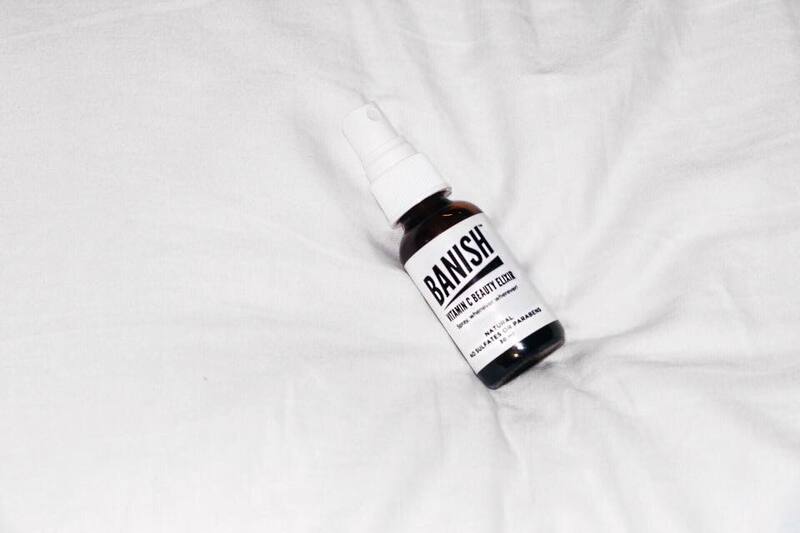 The only thing I felt was a tingling sensation throughout the night the first few days that I used it and I think that's predominantly due to the Banisher. This was my first time ever using a derma-roller so my skin was definitely new to it and needed some getting use to and for those that are scared to try it, don't worry, I was too but it doesn't hurt. It's just tiny little prickly feeling across your face. It's so subtle you barely feel it half of the time. I've used face scrubs that are way harsh and feel like rocks against my cheeks. So this is a piece of cake. If you do however have sensitive skin I do not recommend the Banisher or any derma-roller for that matter but then again I'm not a dermatologist so hey-ho! I hope you enjoyed and found this post useful. 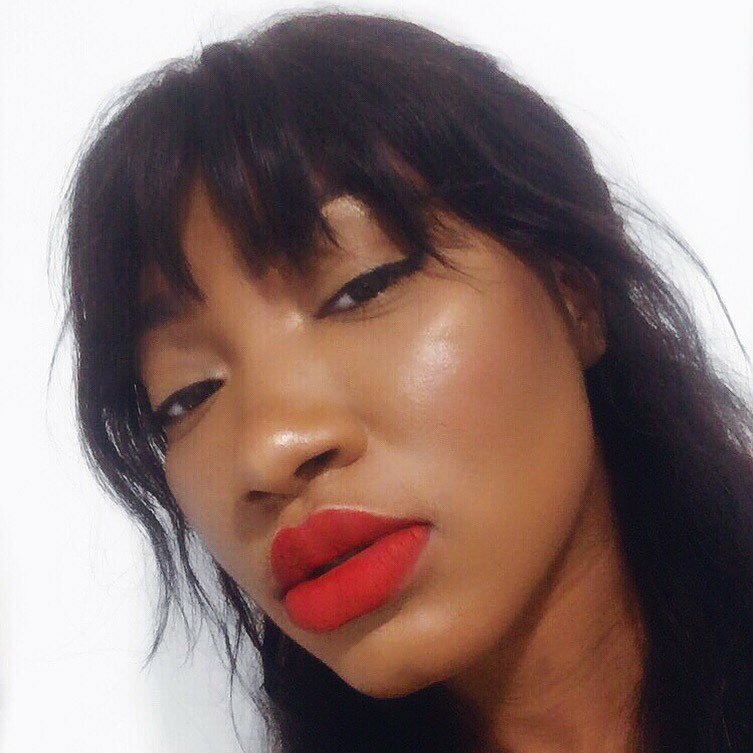 I know there are dozens and dozens of skincare products to choose from and I for one love to try new things. But sometimes it's good to read other people's opinions and experience about a product before making a judgement call on whether to purchase or not, well at least for me it does anyway. So I hope this post does the trick. Also, I must say it's really good to be back blogging again. Blogging for me is something that I enjoy and really love to do. Something to make me feel happy and a good space to share the things I love. But sometimes it can be a bit daunting and you get sucked into the negative vibe of the blogosphere and instagram world and you can sometimes loose a bit of yourself. So whenever I disappear just know it's my way of taking a step back to re-focus, re-plan and come back with better content. As always my lovelies, I love you for stopping by. See you on my next post (P.S. we made it past 40K views, thanks for all the love and continuous support 😢 😘 ). 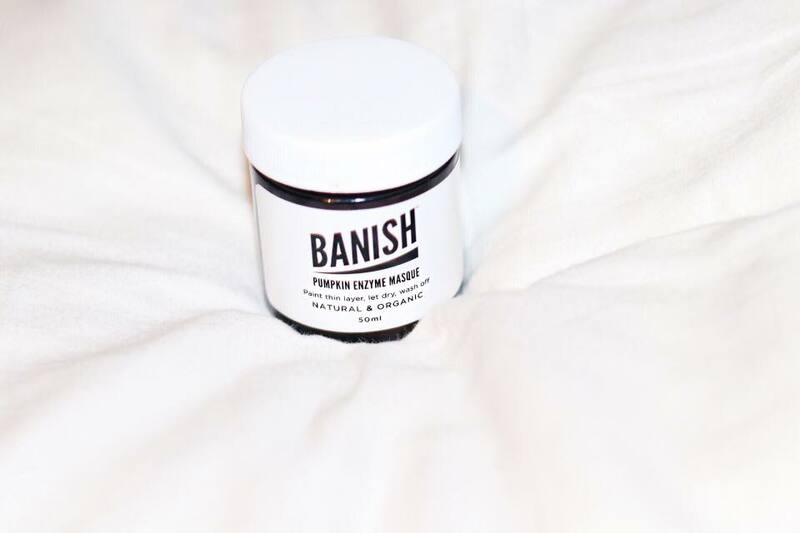 P.P.S massive thank you to the wonderful people at Banish for sending me their products to try. I wasn't paid to receive or review the products. The products were gifted to me to try and provide feedback.